Sensitive skin can be inherited or acquired. 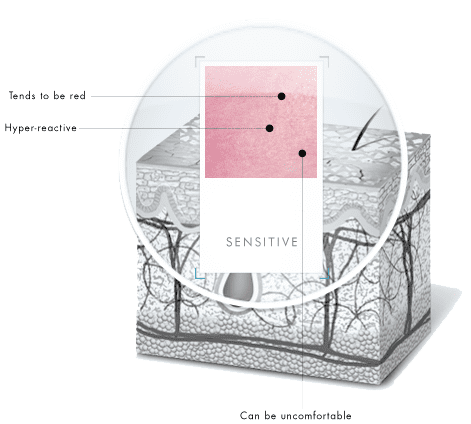 Sensitive skin exhibits a response to various triggers such as allergens, preservatives, or fragrances. SkinCeuticals offers products formulated with soothing ingredients for this skin type.